"Flash" is litter brother to our KC and is owned and loved by Bronwyn Conyers. 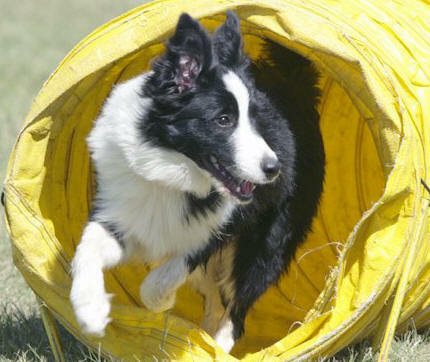 Flash won the Novice Jumping class at the 1st Border Collie National in his first weekend of trialling. He's gone on to gain his CDX GDX ADX JDX JDO AND ADO titles. Flash and Bronwyn make an excellent team and one that we are VERY proud of.